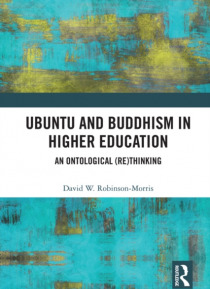 Ubuntu and Buddhism in Higher Education theorizes the equal privileging of ontology and epistemology towards a balanced focus on 'being-becoming' and knowledge acquisition within the field of higher education. In response to the shift in higher education's aims and purposes beginning in the latter half of the 20th century, this book reconsiders higher education and Western subjectivity through sou… thern African (Ubuntu) and Eastern (Buddhist) onto-epistemologies. By mapping these other-than-West ontological viewpoints onto the discourse surrounding higher education, this volume presents a vision of colleges and universities as transformational institutions promoting our shared connection to the human and non-human world, and deepens our understanding of what it means to be a human being.